We have developed type-size ranges of vibration screens that comply with various requirements for granulometric division of materials in basalt processing lines. SBM’s feeding units are developed to have a harmonized and regular carrying operation of the stocked goods to the basalt crushers. Our conveyor belt can be installed both in stationary plant and mobile crushing plant which is equipped with double wheels and adjusting mechanism. All in all, we offer a diverse line of basalt crushers, screens and feeders. Also there will be common spare parts provided. Not only for stationary plants but also for portable quarry plants, SBM will be your single source for technologically advanced basalt processing equipment. 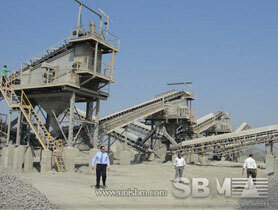 SBM can offer types of screen for basalt screening plant, such as Inclined Screens and Horizontal Screens. SBM also supply types of basalt grinder mill for basalt powder Production, such as ball mill, raymond mill and vertical rolle rmill. "We enjoy sbm machine with simple maintenance and liner replacement"